Fraser Island is a must see on your east coast itinerary. This ever changing holiday destination offers stunning golden beaches; jurassic-looking rainforests that grow in sand; constantly moving sandscapes; native animals going about their daily grind; picturesque watering spots to cool off and experiences that will last a life time. Here, some of our Fraser visitors share their Fraser Island holidays and experiences on the world's largest sand island. Enjoy. FRASER ISLAND: If you're heading our way this week, we're chuffed to report that the inland tracks are great at the moment, with one soft patch just west of the resort. That's Lindsay, the Fraser Island wormer! This man has skills! 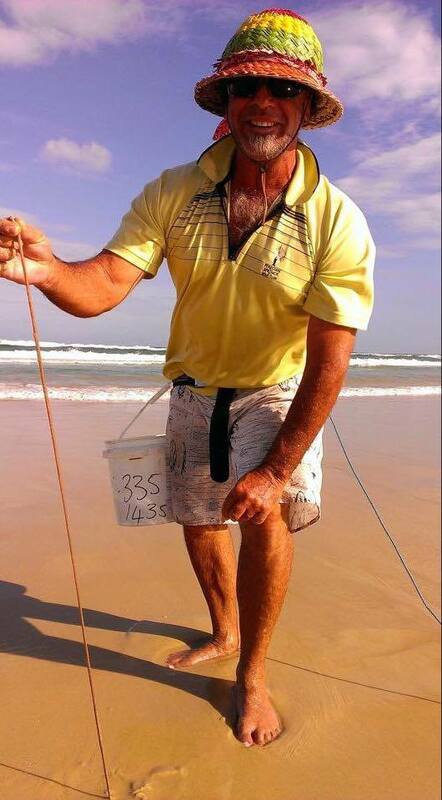 Sand whiting are on the bite on the surf side of Fraser Island and those in the know are heading just south of Eurong Beach Resort (near the 80km speed sign) to fish the gutters there. Some eager staff members caught nice, plate-sized whiting using Fraser Island worms (we stock them at our General Store). More and more fisherfolk are starting to stay at the resort and we're told a couple of guests caught plate-sized dart after lunch (just north of the Eurong police station) using pippies as bait. All in all if you're headed our way, you'll do ok a couple of km either side of the resort. Happy Fishing! You'll find Zoe R working in the Front Office at Eurong Beach Resort. We don't mind telling you that when it comes to fishing, she gives visiting fisherfolk a run for their money. Fraser Island stretches over 123 kilometres in length and 22 kilometres at its widest point. With an area of 184 000 hectares it is the largest sand island in the world. Fraser Island's World Heritage listing ranks it with Australia's Uluru, Kakadu and the Great Barrier Reef. Fraser Island is a precious part of Australia's natural and cultural heritage, it is protected for all to appreciate and enjoy. Fraser island is a place of exceptional beauty, with its long uninterrupted white beaches flanked by strikingly coloured sand cliffs, and over 100 freshwater lakes, some tea-coloured and others clear and blue all ringed by white sandy beaches. Ancient rainforests grow in sand along the banks of fast-flowing, crystal-clear creeks.